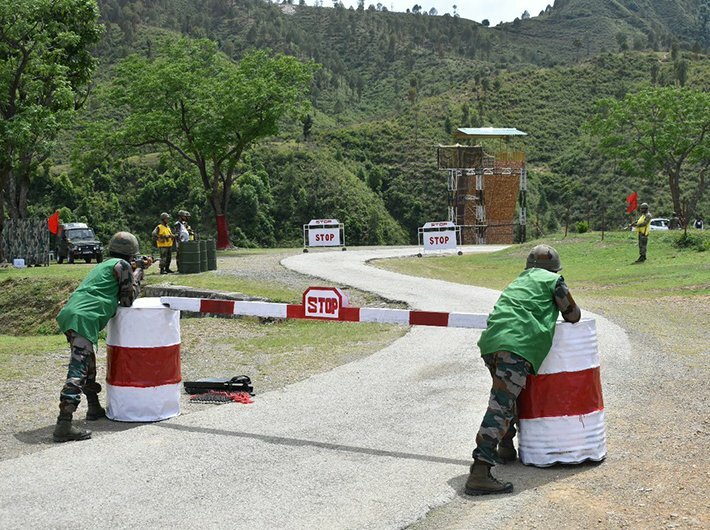 The defence ministry’s decision to allow civilians’ movement in the Cantonment area needs a serious review it has turned relationship between the Army and the civilians sour. Recently, in Pune BJP party workers were seen celebrating the defence ministry’s decision of permitting civilians into the Cantonment areas was indeed shameful as it dents the image of the Indian Army. The Army has never done anything which has hurt the sentiments of civilians. The workers hailed the decision and even carried out processions as if they had won some kind of war with the Army, the same army which is protecting our frontiers. According to news reports, defence minister Nirmala Sitharaman had said that 850 roads were closed in Cantonments out of which 119 were blocked without complying with the prescribed norms. It should be understood that Cantonments are areas where the army is stationed permanently and carries out many important operations. Cantonments house military personnel and their families, armours, military installations and weapons as well. They should be well protected. However, it should be examined whether all of such roads have been closed as per the rules. Civilians living around Cantonment areas have all rights to pass through such zones but the security mechanism of the army should not be compromised. Civilians’ access should not interfere with Army’s installations. A news report says that over 13,000 petitions have been signed on change.org against the government’s order of giving access to civilians in Cantonment area. Some reports suggest that even army personnel’s wives have also raised concerns over their families’ security and have requested the defence minister to roll back the decision. In a similar incident, army personnel were seen performing exercise on a road in Secunderabad Cantonment which resulted into traffic blockage, leaving locals in the lurch. The residents posted pictures of personnel on social media and urged the defence ministry to look into it. Such incidents will only damage the relationship between the army and the civilians. By allowing civilians to freely roam around the Cantonment areas, the government has triggered a major controversy that needs immediate redressal. If such incidents are not resolved with precision, the rift between the army and the civilians will only widen.